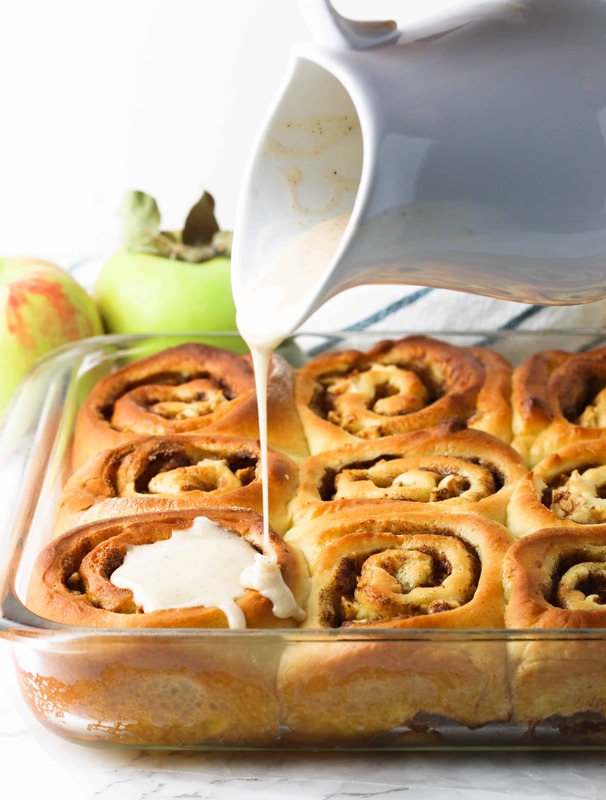 These apple cinnamon rolls are the perfect Fall breakfast or brunch treat. 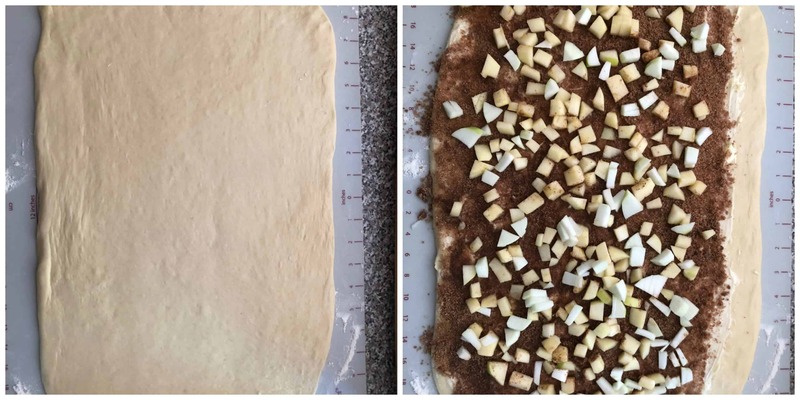 A classic cinnamon roll dough with brown sugar, cinnamon, and diced apples. 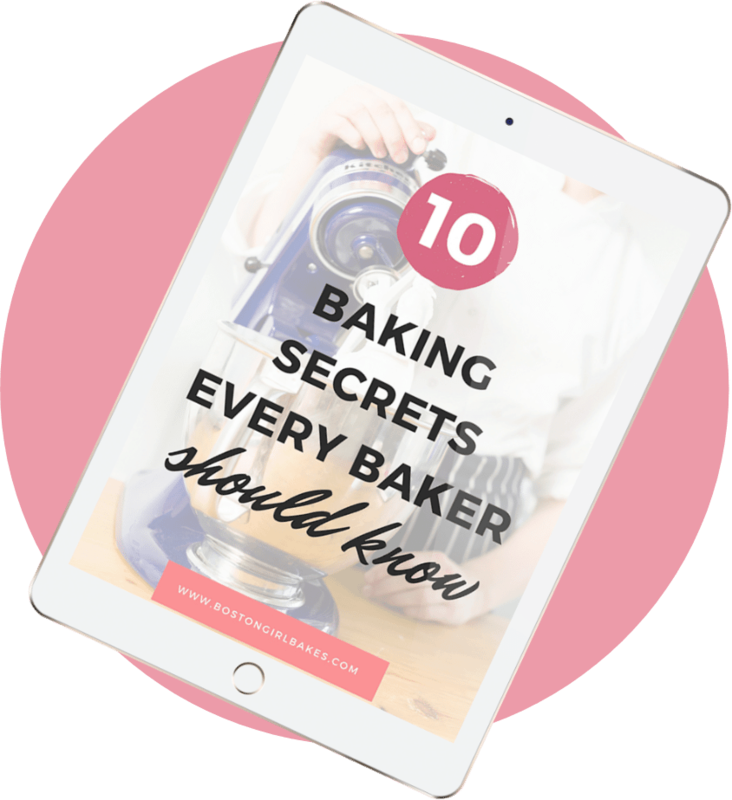 With step by step photos and tips for working with yeast, you will have these in the oven in no time! When it comes to breakfast, I’m usually an egg sandwich kind of person. Very few things can steal me away from the salty goodness, especially if there is bacon. But a fresh hot cinnamon roll will do the trick. Now throw in some chopped apples into the brown sugar cinnamon goodness and you know I’m skipping right past my usual go to breakfast. 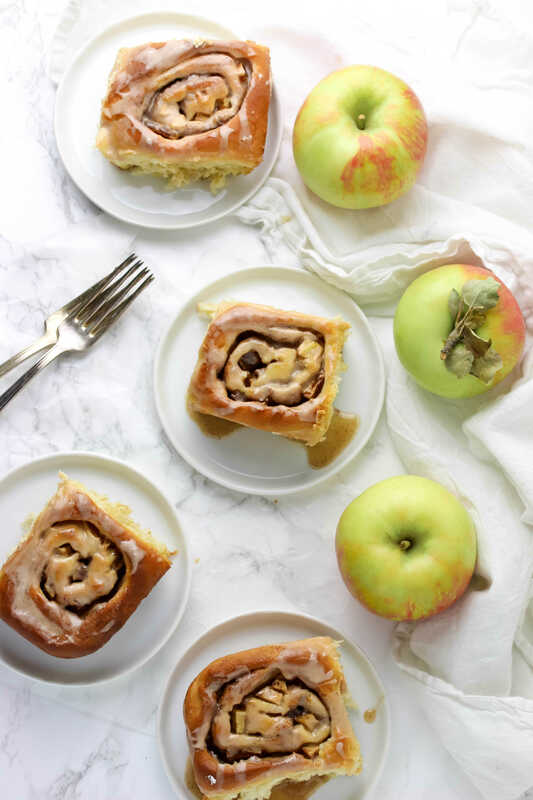 If you have gone apple picking, and have a bushel of apples you’re not quite sure what to do with then I beg you to use a couple of them to make these apple cinnamon rolls. First start by gathering your ingredients to make the cinnamon rolls. Then proof your yeast in 3/4 cup milk until it’s all foamy. You can watch video on how to proof your yeast here. 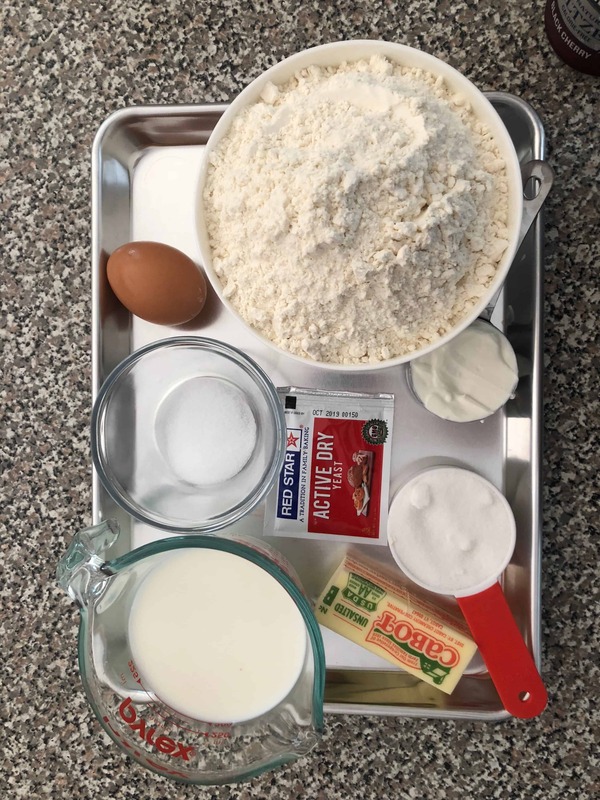 In your stand mixer you will begin making the cinnamon roll dough by mixing together the melted butter, sugar, sour cream, egg, and 1/4 cup milk. 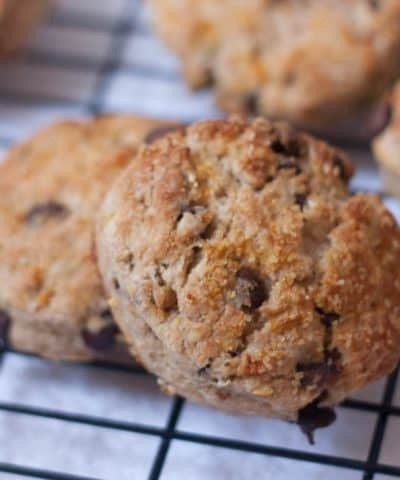 You will add in half of the flour mixture to your mixer, and then the yeast mixture. Finish by adding the remaining flour mixture. You want to knead the dough until it’s smooth and elastic (about 4 minutes). Then place the dough into a greased bowl. Give the dough a turn to coat it and let it rise until doubled in size, about an hour. After an hour, punch the dough down. Cover the dough and let is rest for another 5 minutes. Then roll out your dough into a 18 x 12 inch rectangle. Spread the dough with softened butter. And cover the dough with the brown sugar, cinnamon, and chopped apples. Make sure to leave a 1/2-inch border on one long side. Then brush the border with a beaten egg. And roll the dough up. Then cut the dough into rolls. And cover and allow to puffy and touching, about 30 minutes. How Do You Know When Cinnamon Rolls Are Done? I recommend using a thermometer to test the doneness. You can insert a thermometer in the dough. I choose a center roll to test. You want the temperature at 190°F. If you don’t have a thermometer you can simply pull up one of the center buns and check for rawness. If the dough is still raw and sticky, then bake for an additional 5 minutes. How Do You Make Icing For Cinnamon Buns? An icing for a cinnamon bun is very simple to make. Usually powdered sugar in the main ingredient. I made a variation using apple cider. I made an apple cider glaze of simple powdered sugar, apple cider and cinnamon. Basic lick your fingers kind of yummy. When proofing your yeast, make sure the milk temperature is between 105°F and 110°F. If the mixture is too hot, it will kill the yeast. Measure your flour correctly. You can read the full tutorial on how to do that here. 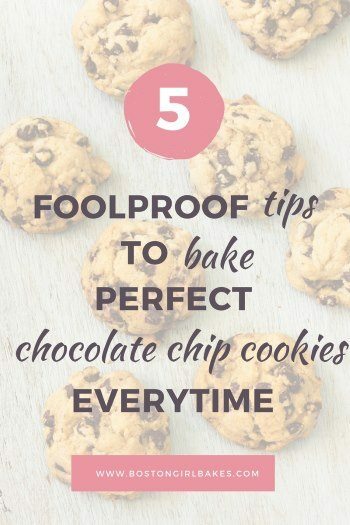 You also may not need to add all of the flour into the dough. So add the last 1/4 cup sparingly. Use your dough hook attachment to knead the dough. And to know if you have kneaded the dough long enough you want to use the windowpane test. Take a piece of the dough and stretch it. If it doesn’t break the dough and you create a windowpane of elastic dough that you can see through. You can read more about the windowpane test in my Ultimate Guide To Baking Bread At Home. Make sure to rest your dough covered and in a warm draft free place. When rolling out your dough, make sure to do so on a lightly floured work surface. I love using a pastry mat to roll out my dough. It has measurements on the side so that I know how big the rectangle is. To cut the rolls, use string! If you use a knife it will squish the beautiful spiral. If you use string (or unflavored dental floss) it will keep the spiral. Simply place the string under the roll and criss cross the string so it slices through the dough. 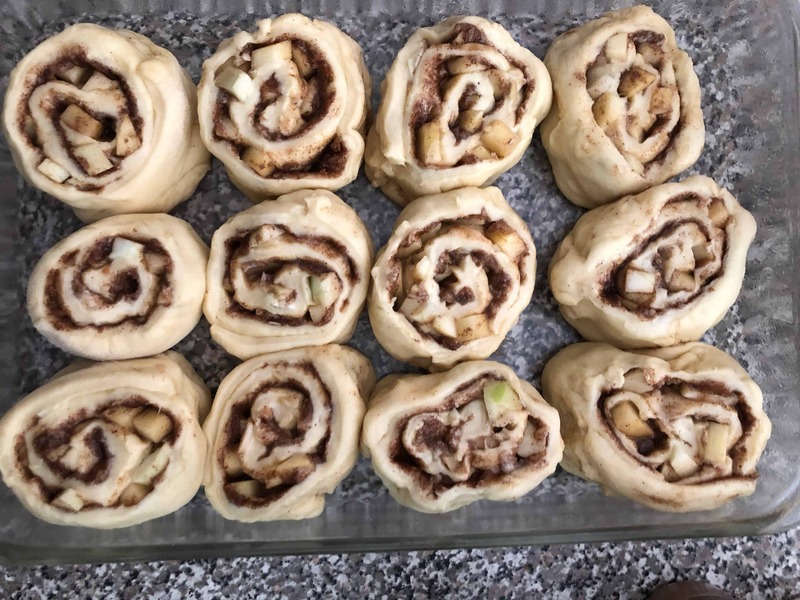 For these apple cinnamon rolls I used Honeycrisp apples. 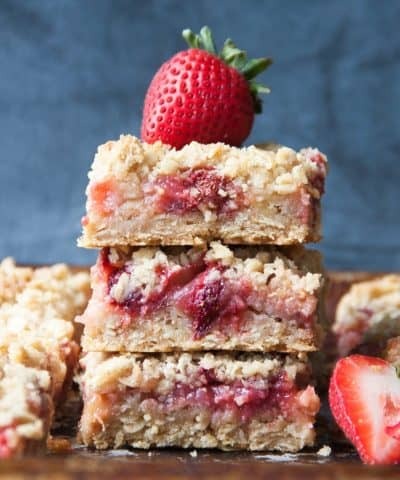 They are sweet and tart and hold up well when baking. If you don’t like Honeycrisp, you can check out my post on the best apples for baking. Absolutely! 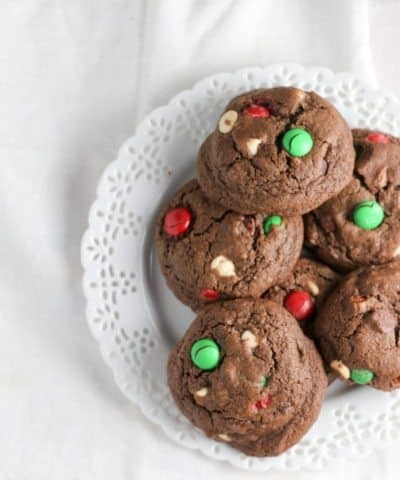 After they are shaped and in the pan, you can freeze them before the second rise. You can also let the rolls rest in the fridge over night. Then when ready to bake, allow the rolls to rise at room temperature until puffy and touching. This will take longer than 30 minutes (allow up to an hour). 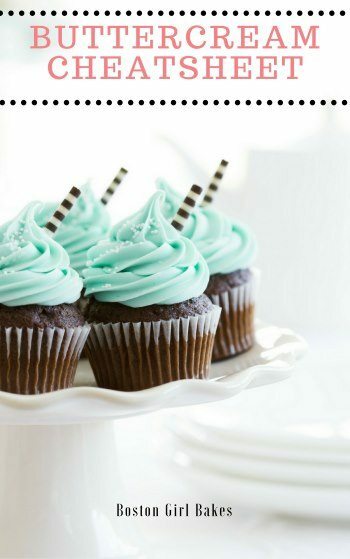 Then bake and ice as normal! How Long Do Cinnamon Rolls Last? 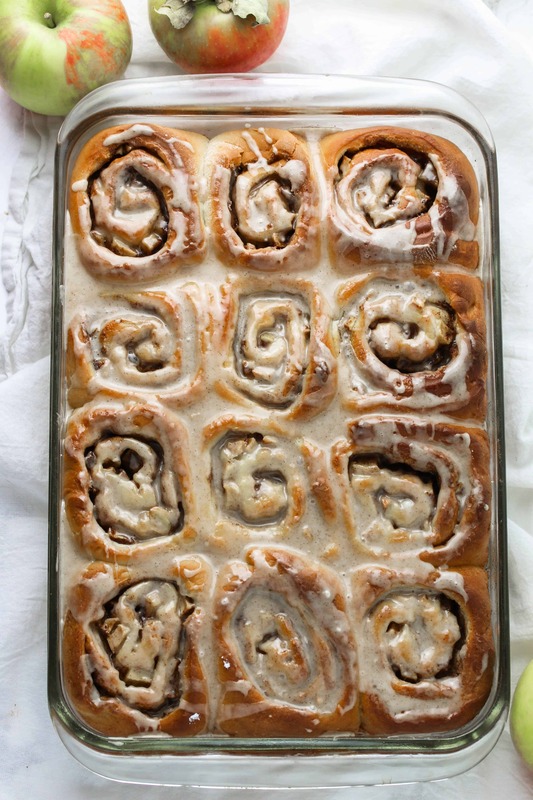 These apple cinnamon rolls will last at room temperature for 2 days. Just make sure to keep them cover with plastic wrap or tin-foil. You can keep them in the fridge for up to a week. Again just make sure they are well covered! 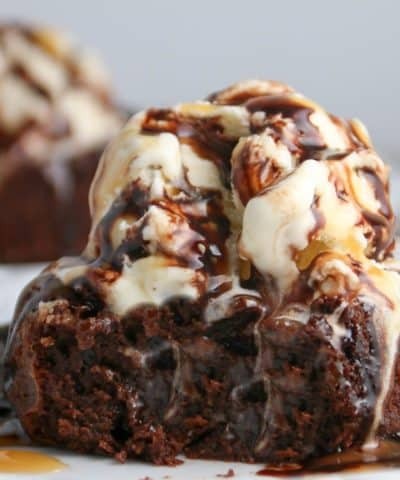 If you like this recipe let me know and leave me a comment and star rating below! 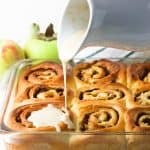 Apple Cinnamon Rolls - rich cinnamon rolls with brown sugar, cinnamon and chopped apples! 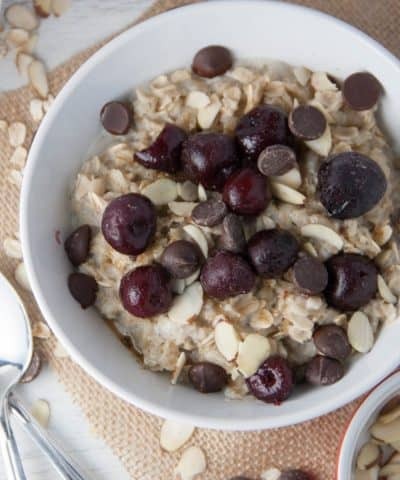 Perfect Fall breakfast treat! In a medium bowl, combine ¾ cup (180 grams) warm milk and yeast. Let stand until mixture is foamy, about 10 minutes. 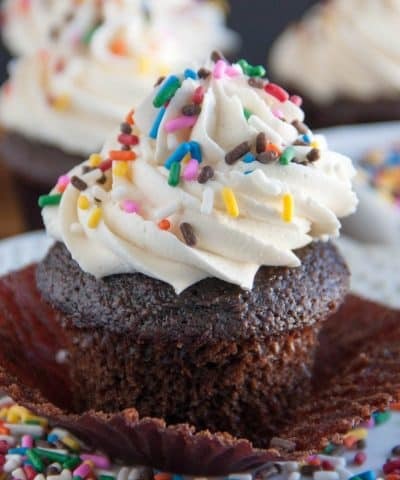 In the bowl of a stand mixer fitted with the paddle attachment, stir together melted butter, sugar, sour cream, egg, and remaining ¼ cup (60 grams) milk. In a large bowl, whisk together 3⅔ cups (459 grams) flour and salt. Stir half of flour mixture into butter mixture. With mixer on low speed, add yeast mixture, beating just until combined. Beat in remaining flour mixture. Switch to the dough hook attachment. Beat at medium speed until smooth and elastic, about 4 minutes. Add remaining ⅓ cup (42 grams) flour, if needed (dough should not be sticky). Spray a large bowl with cooking spray. 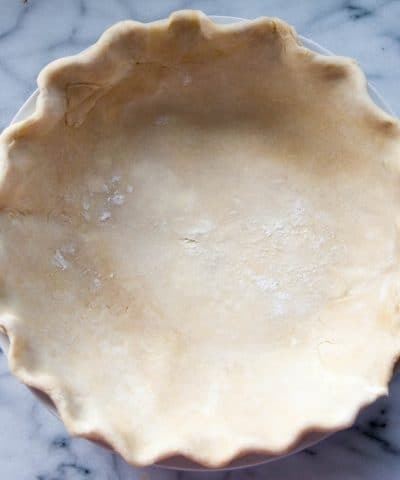 Place dough in bowl, turning to grease top. Loosely cover and let rise in a warm, draft-free place (75°F/24°C) until doubled in size, about 1 hour. 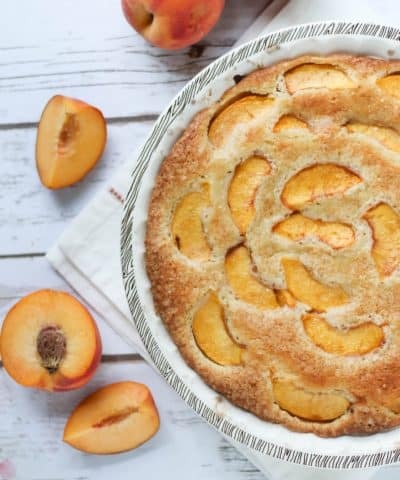 Spray a 10-inch round cake pan or a 13x9-inch sheet pan with cooking spray. For rolls: Lightly punch down Cinnamon Roll Dough. Cover and let stand for 5 minutes. Turn out dough onto a lightly floured surface, and roll into an 18x12-inch rectangle. 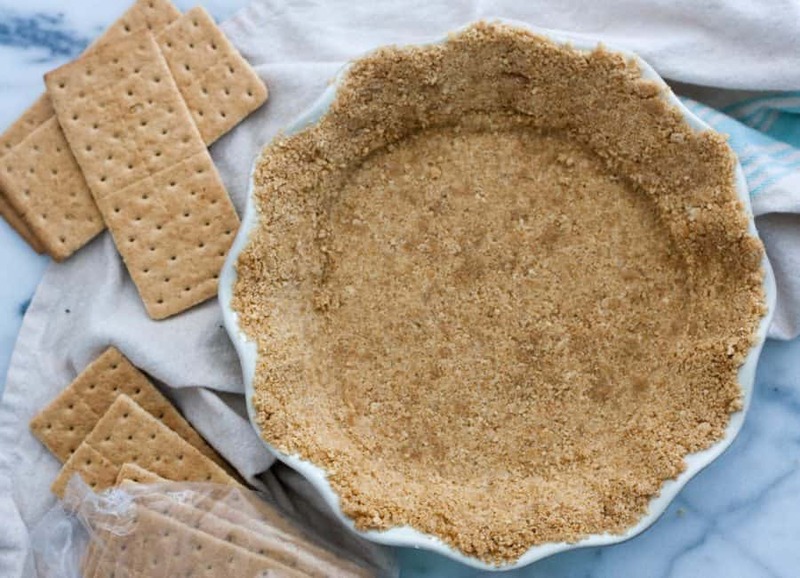 In a small bowl, combine brown sugar and cinnamon. Spread butter onto dough, and sprinkle with sugar mixture, leaving a ½-inch border on one long side. Top with chopped apples. Then Brush egg over side of dough without filling. Starting with one long side, roll dough into a log, pinching seam to seal. Trim ends. For round cake pan, slice into 10 rolls; for sheet pan, slice into 12 rolls. Place in prepared pan. Let rise in a warm, draft-free place (75°) until puffed and rolls are touching, about 30 minutes. Bake until a wooden pick inserted in center comes out clean, about 25 minutes. Let cool in pan for 10 minutes. Remove from pan. In a small bowl, combine the powdered sugar, apple cider and cinnamon. If the glaze is too thick, thin it out with a bit more apple cider. 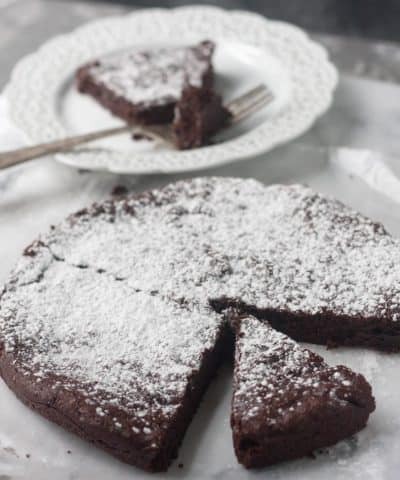 If the glaze is too thin, add a bit more powdered sugar. Spread onto warm rolls. Use your dough hook attachment to knead the dough. And to know if you have kneaded the dough long enough you want to use the windowpane test. Take a piece of the dough and stretch it. If it doesn't break the dough and you create a windowpane of elastic dough that you can see through. You can read more about the windowpane test in my Ultimate Guide To Baking Bread At Home. 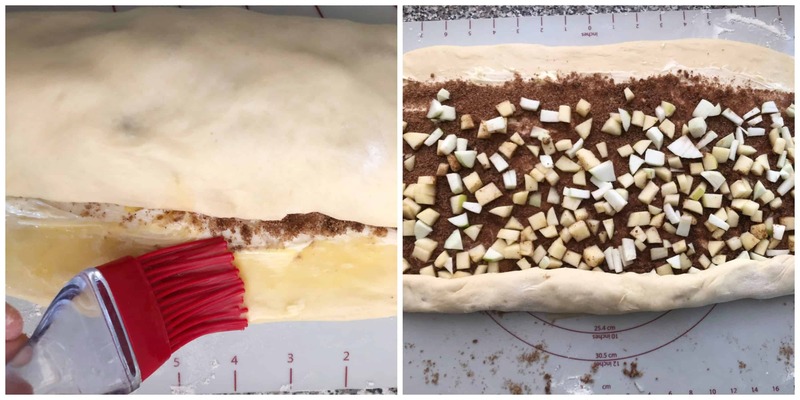 Where in the instructions do you add the cut up apples ?